Microfluidic chips enable researchers to manipulate, image, and analyze small tissue constructs under optimal culturing conditions. Share how InSphero has addressed the biggest challenges holding this exciting new technology back. 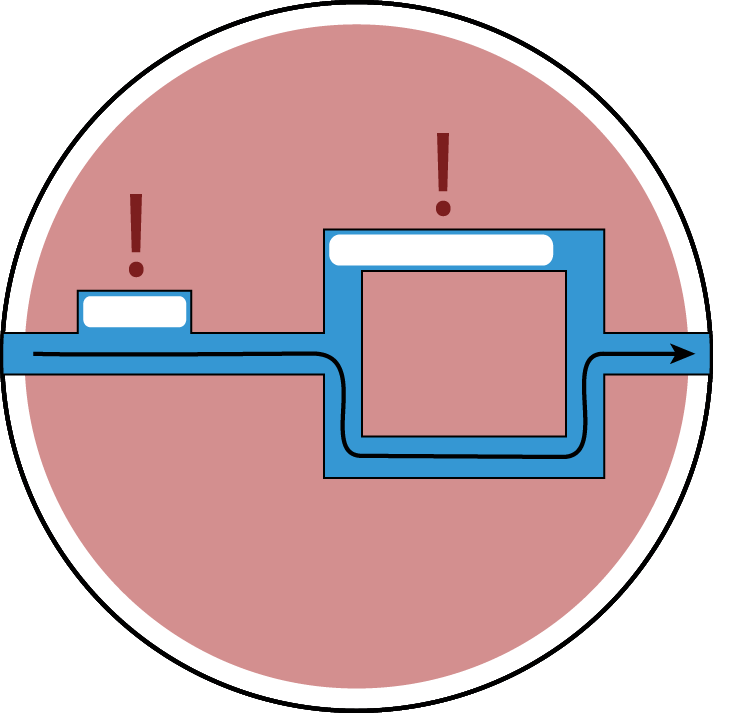 Microfluidic technology has its origin in the late 1980s, when researchers at Ciba-Geigy, a chemical company in Basel (now part of Novartis) miniaturized a capillary electrophoresis device and exploited favorable scaling laws when manipulating very small samples of liquid in very small channels: temperature transitions become instantaneous, diffusion distances become small, reaction times are very fast, only small amounts of precious compounds are needed, reactions can be parallelized on a very small foot print. Thus, a technology was born with the promise to revolutionize chemical analysis with access to economy of scales (Sackmann et al. 2014; Whitesides 2006). Inspired by advances in microfabrication technologies used in the integrated circuit industry and the development of microelectromechanical systems (#MEMS), such as accelerometers, gyroscopes, and a wide range of sensors, microfluidics pioneers employed these same methods to create miniature channel networks and reservoirs to manipulate liquid samples for a wide range of applications. During this initial phase of innovation, devices were manufactured from silicon and glass using extremely expensive cleanroom fabrication processes. The truly disruptive spread of microfluidic technology, however, was not initiated until the introduction of replica molding using Polydimethylsiloxane (PDMS) silicone. In this less cost prohibitive process, a two-component elastomer was poured onto a relief structure, then cured, peeled off, and bonded onto a glass slide, for example, to produce a closed microfluidic network (Duffy et al. 1998). With this breakthrough, microfluidic technology became available for every small academic microfluidics research lab, even those with limited resources. Researchers quickly recognized that the dimensions in microfluidic systems, which are ranging from below ten to hundreds of micrometers are at the same scale as biological cells or small tissue constructs allowing to manipulate them, image and analyze them down to a subcellular level while providing them with optimal culturing conditions through controlled perfusion (El-Ali et al. 2006; Young and Beebe 2010). PDMS, because of its biocompatibility, oxygen-permeability and excellent optical properties, was and still is the material of choice. Microfluidics produced valuable insights into cell biology and laid the foundation to build devices with the capability to replicate functions of human tissue and even human organs. The so-called #organ-on-a-chip technology is today a field with the potential to set new standards, how in vitro testing is performed (Bhatia and Ingber 2014). Even though microfluidic technology had its origins in industry before evolving exponentially in academia, it’s rarely applied routinely in pharma. Why? In the academic realm, innovations serve to make new discoveries, to understand underlying physical, chemical and biological mechanisms, and to prove novel concepts. In short, flexibility is more important than reliability. Therefore, most microfluidic chips require a dedicated, often complex periphery, consisting of chip holders, tubing, pumps, and high-end readout interfaces. Consequently, these devices must be operated by trained technicians (in many cases their inventors), who have the patience to set up, monitor, and continuously troubleshoot running systems, sometimes over the course of night-long experimental sessions. This is in strong contrast to the requirements for routine use in industry, where systems have to guarantee 24/7 operational robustness and reproducibility from the get go. 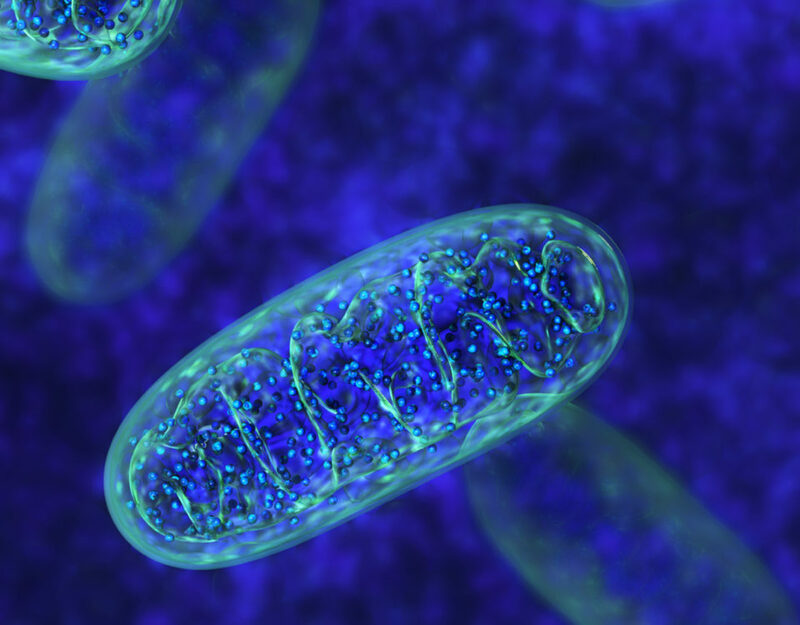 This transition comes with a multitude of challenges, especially in the organ-on-a-chip field, which is at the interface of cell biology, chemistry, material sciences, fluid dynamics, and microtechnology. In the academic realm, innovations serve to make new discoveries, and flexibility is more important than reliability. In industry, microfluidic systems have to guarantee 24/7 operational robustness and reproducibility from the get go. There are several important technical hurdles we must overcome before microfluidics can successfully make the transition from academic research to pharma production lines. The fabrication of microfluidic chips, the centerpiece of the system, has to be transferred from manual PDMS molding to a reproducible manufacturing process with reasonable throughput, typically polystyrene injection molding. Aside from its cost (PDMS is roughly 100 times more expensive than polystyrene), PDMS is known for its strong molecule absorption characteristics. This makes it nearly impossible to use in compound testing as hydrophobic molecules can have an up to 105 higher solubility in PDMS than in water-based media. As a result, the concentration of the compound perfused through the channel network is affected. In addition, a compound sink/source is continuously built up inside the substrate, on which sensitive target cells might be cultured. Further, translation to mass fabrication can be difficult or impossible, if features of the microfluidic chip rely on properties of PDMS, such as gas permeability ensuring oxygen supply for the cells, or special surface or elastic properties. Using a rigid material makes fluidic connections more complicated. Whereas tubing can be easily plugged directly into the elastic PDMS prototype, special connectors (mostly built from multiple parts) are needed for rigid chips. Automated and sterile connections for a leakage-free operation is still a major challenge, especially for long-term cultures such as organ-on-chip systems. The robust set up and operation of a microfluidic systems is finally largely dependent on how air bubbles can be prevented. 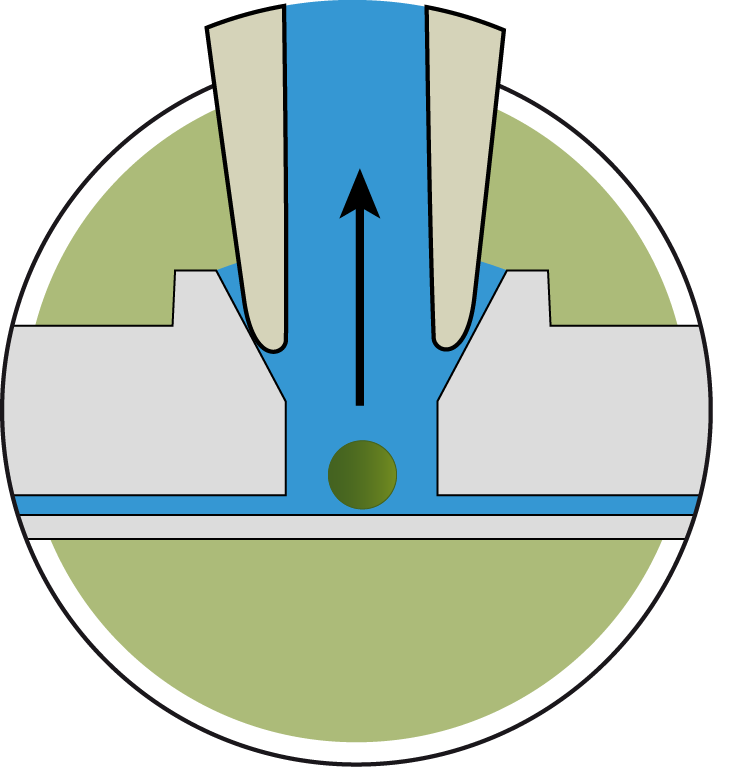 A single air bubble often leads to failure of the microfluidic system. It blocks a channel, deviates flow, influences pressure response, and most critically, has adverse effects on cell cultures through elevate shear stress. Researcher go to substantial effort to engineer bubble traps (Lochovsky et al. 2012). In this blog post, I will focus on three very basic operational steps that are essential for making a microfluidic system for in vitro applications robust. I strongly believe these are the reasons why microfluidic technology did not smoothly translate to industry as predicted in the 1990s. Initial bubble-free liquid filling – Microfluidic chips are typically delivered under dry conditions and one of the first user tasks consists of filling them with a liquid. Complex networks are tricky to fill, because the liquid front will follow the path of lowest resistance towards the outlet. Side branches will remain empty and, in closed microfluidic structures, it is nearly impossible to remove entrapped air. Bubbles form easily in corners or dead ends. This necessary step is one reason why most commercial products are designed as single channel systems without channel bifurcations. Introduction of cell and tissue structures – Building organs on a chip requires the introduction of cells or tissue structures into the device. This process can be quite laborious. To build the intended tissue structure, cells need to go to the right place, in the right numbers, in a defined order without being harmed. 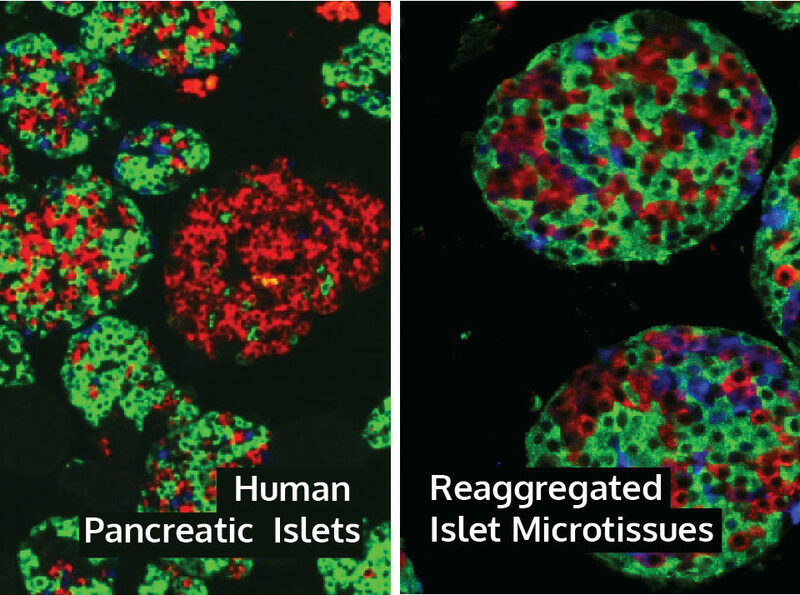 Equally important, researchers must be able to remove remove cells and tissue structures from the device for a wide-range of downstream analyses. Given the complexity of experiments run in these devices, the ability to perform deep endpoint assays and analyses is key to truly effective microfluidics applications. Controlled, bubble-free operation – Once the chip is ready, it must be hooked up to the control unit operating the device in a sterile cell culture environment over several weeks. Simple access is required for continuous monitoring of analytes, cells, and tissue structures. Tubing requires de- and re-connection with the risk of contamination and introduction of bubbles. Preferably, many devices are operated in parallel to allow for a reasonable number of replicates for statistical relevance, without increasing operational complexity. Over the past several years, InSphero has established a multitude of different devices in collaboration with the Swiss Federal Institute of Technology, ETH Zurich. 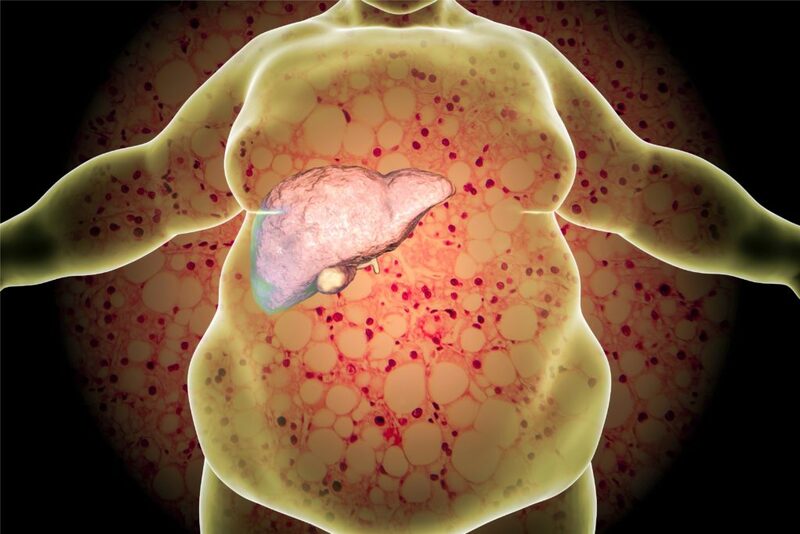 Bulding on our experiences and applied research using 3D InSight™ Microtissues, we developed our Akura™ Flow platform, the only commercially available plug-and-play microphysiological system (MPS). How did we solve the challenges above? 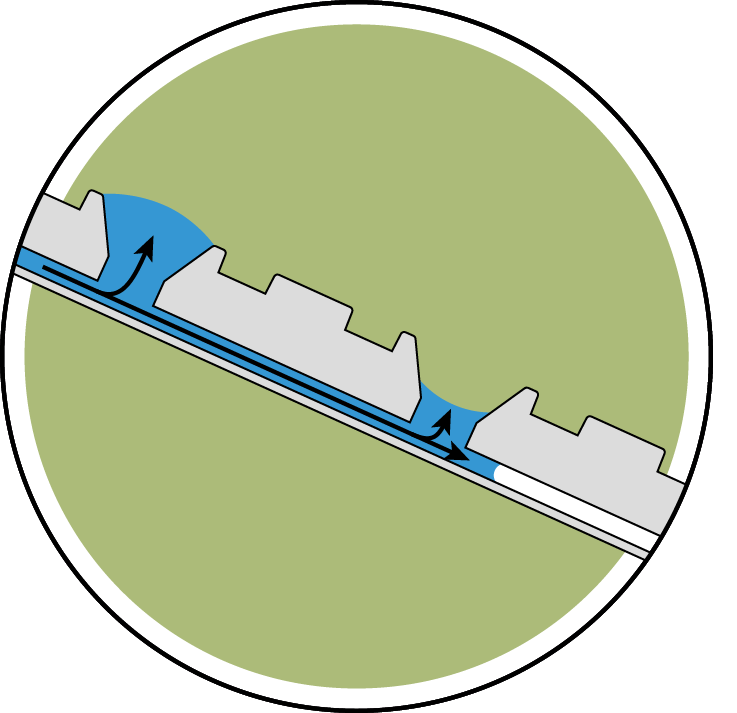 First, we use hydrophilic channel side walls to enable simple capillary-force- and gravity-driven loading of liquid into a straight channel connecting two lateral reservoirs. Dispensed into one of the reservoirs, the liquid flows automatically through the full length of the channel. Ten microtissue culturing compartments are arranged along each channel. All air can escape through air vents in the ceiling of every compartment, effectively preventing bubble entrapment during this initial loading process. These air vents are part of what we call StandingDropPorts, which are located in every microtissue compartment. The StandingDropPort provides funnel-like direct access to the compartment, enabling assay-ready, quality-controlled microtissues of different types to be loaded into the Akura™ Flow chip during the production process at InSphero. The ContactTransfer of the microtissue into the compartment is quick, does not harm the microtissue itself nor any microtissues already loaded into the system, and is fully compatible with automated pipetting systems. Once loaded, the compartments are inherently sealed by a liquid-air interface. Long-term, robust and bubble-free perfusion is guaranteed by gravity-driven flow between the two reservoirs by reciprocal tilting of the chip. Open reservoirs allow direct access to the liquid for medium exchange and sampling. The StandingDropPorts enable local gas exchange at each microtissue site. Multiple plates can be run in parallel without increasing operational complexity using InSphero’s tilting device. Furthermore, the microfluidic system adheres to the SBS standard and allows for seamless integration into routine R&D workflows. Finally, the StandingDropPorts allow straightforward removal of microtissues after the experiment using standard liquid-handling equipment. This gives access to deep endpoints such as omics, next-generation sequencing (NGS), single-cell analysis, or histology, as well as a marked advantage over concepts proposed as microphysiological systems for which it is impossible to remove the different tissues or cell types from their closed system architecture. 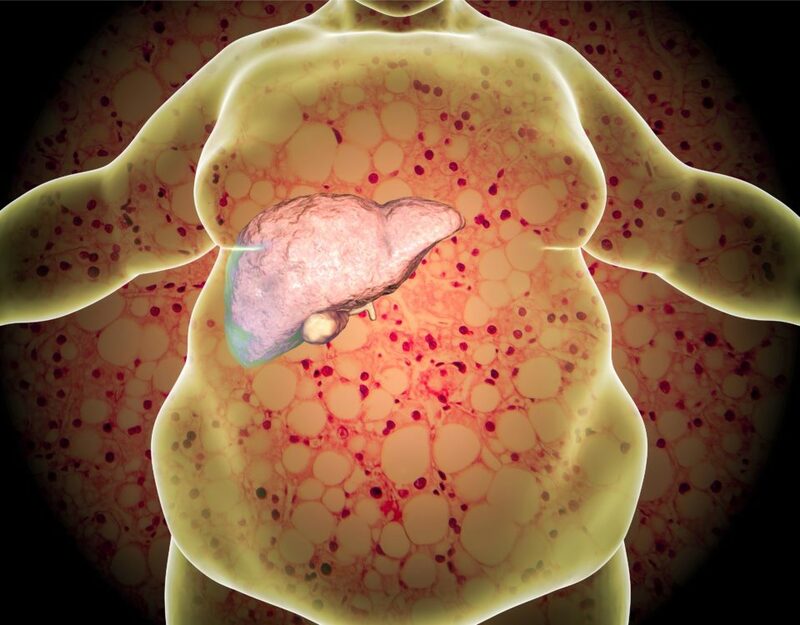 Following InSphero’s core principles of developing advanced cell-based assay solutions that meet industry-grade requirements, the Akura™ Flow system provides unparalleled flexibility in designing multi-tissue experiments, works in standard biological laboratories and paves the way for a wide-range of pre-clinical applications, from low clearance hepatocyte assays to multi-tissue networks of liver and islet tissues designed for studying metabolic disease. We are currently working closely with development partners in the pharma industry, who are testing various applications for Akura™ Flow using 3D InSight™ Microtissues. It will be ready for general release starting in 2019. I hope you’ve found this useful. In my next blog, I’ll discuss how timing and supply chain management defines the reliability and success of multi-tissue experiments. If there are other topics related to microfluidics and microphysiological systems you’d like me to cover in future blogs, please share your ideas in the comments section.